Enjoy the finest homes and services in the mountains! Celebrating 10 years in Western North Carolina and with over 4,000 5-Star reviews, Yonder provides relaxing and personalized luxury homes for vacation rentals in Asheville and the Blue Ridge Mountains; from 1 bedroom loft apartments in the heart of Asheville to 8 bedroom timber frame estates homes. Perfect for romantic weekends to multi generational family gatherings, corporate retreats to weddings, Yonder dedicates itself to providing the ultimate mountain vacation experience. 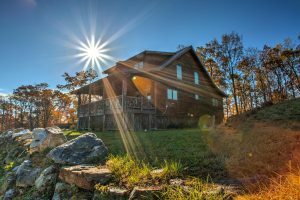 Close to restaurants, trails, art galleries, waterfalls, the Biltmore Estate, boutique shops, Blue Ridge Parkway, entertainment and craft breweries; a Yonder home offers both privacy and proximity to our mountains attractions. Our promise to you is an easy booking process, a guaranteed clean home and our availability 7 days a week to offer local knowledge and answer any questions you might have. We are here for you. For a Yonder guest, a great experience while on vacation is our ultimate goal. We are pleased to offer you the Yonder Experience Program. Our experience ambassadors are experts in their field and more importantly are passionate about sharing their knowledge and love of their disciplines. From adventure to art, culinary to wellness; your vacation with Yonder should be full of meaningful experiences that make a truly memorable vacation.